If you’re searching for first-class Infiniti services, look no further than All Time Gas & Diesel in Glendora. Our clients often tell us that our highly-skilled auto mechanics and our pleasant customer service staff give them peace of mind. We're a true family-run business and aim to make our customers feel like part of our extended family. New clients often decide to stay with us for the long haul because other auto repair shops and dealerships can’t match our abilities, trustworthiness, and professionalism. Your Infiniti will be back to brand new condition in no time. All Time Gas & Diesel has a nationwide 2-year/24,000-mile warranty through CarQuest. 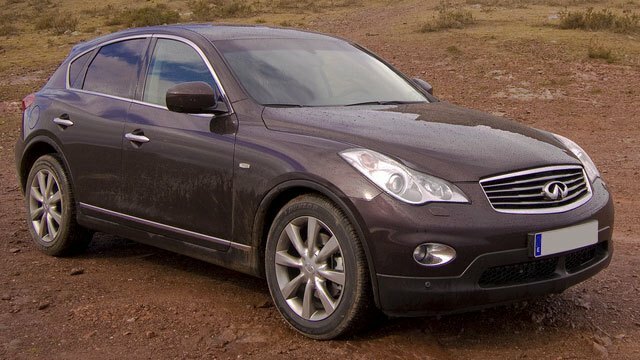 With this type of guarantee, you can be certain that services on your Infiniti were performed to last. Many organizations have recognized All Time Gas & Diesel for our excellence in auto & diesel repair services. These organizations include AAA, ASA (Automotive Service Association), TechNet Bosch, and ASCCA (Automotive Service Councils of California). “Had my f250 towed down from big bear to all-time Diesel and passed many dealers and mechanics along the way because I knew they would give me a truthful diagnosis of what really was wrong with my truck and give me a reasonable estimate of charges to repair it. I have been a very satisfied customer for over one year now.” -- Bill A. Because of our years of experience and expertise, Infiniti drivers from and around Glendora trust that All Time Gas & Diesel is truly unrivaled. Our professional and adept auto mechanics are auto & diesel repair specialists and are your leading choice when you want Infiniti repairs done right the first time. Schedule an appointment today, or stop by 610 S. Vecino Ave. Glendora, CA 91740.